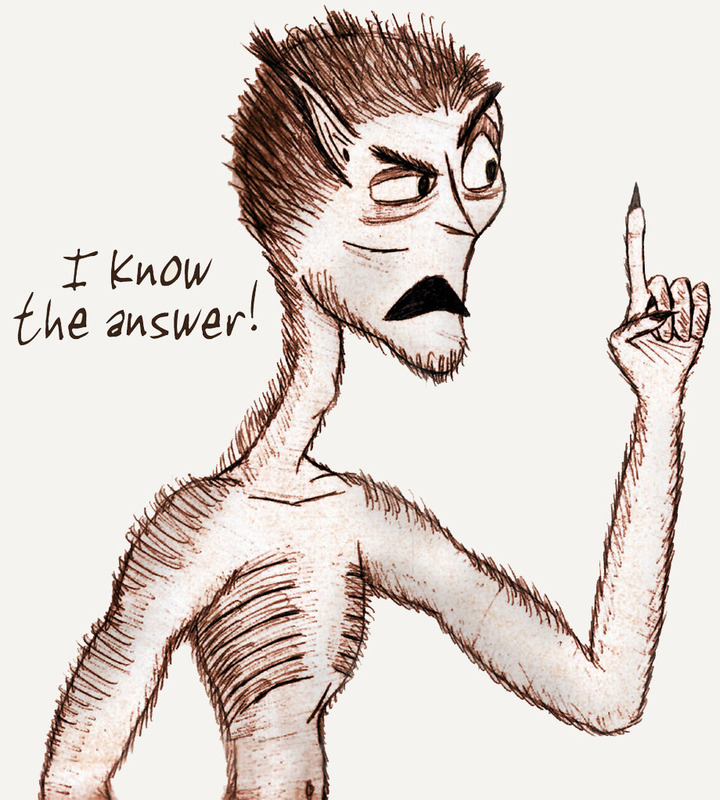 The Scruffy Man is the elven equivalent of a Neanderthal. Suffering from what Elves consider to be short term memory loss, he rediscovers the world every year, and is childishly entertained. Every once in a while he will surprise everyone around him by knowing the Ancient Egyptian language or Olmec jokes, but usually he's playing with whatever is shiniest nearby. He detests clothes, probably due to his scruffy hair, and has a singularly skeletal frame, despite his insatiable appetite. This image is downright ancient, dating back to high school. I liked how the image turned out, the sort of audacity in his expression. Text replaced in photoshop, otherwise done on paper.